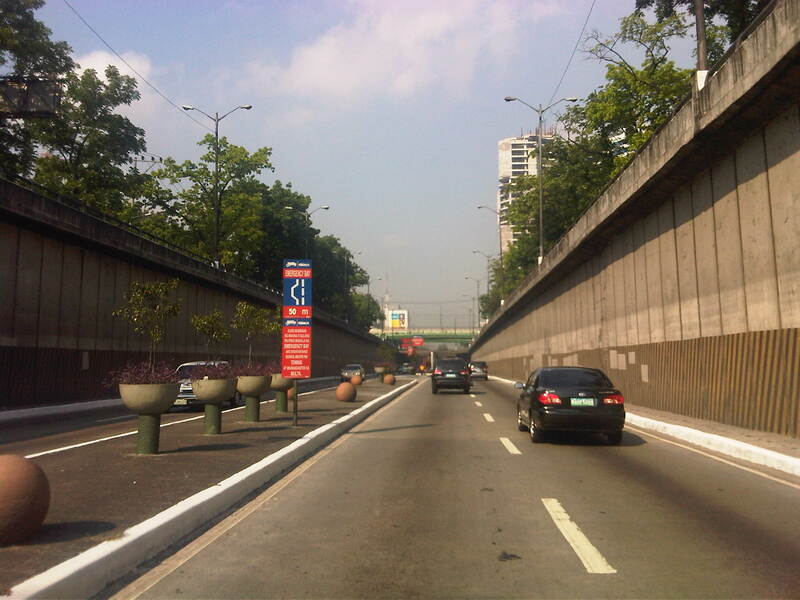 Quezon Avenue is part of Radial Road 7 (R-7) and stretches from the Elliptical Road (also technically part of R-7) in Quezon City to the Welcome Rotonda in Manila, where it connects with Espana Avenue. 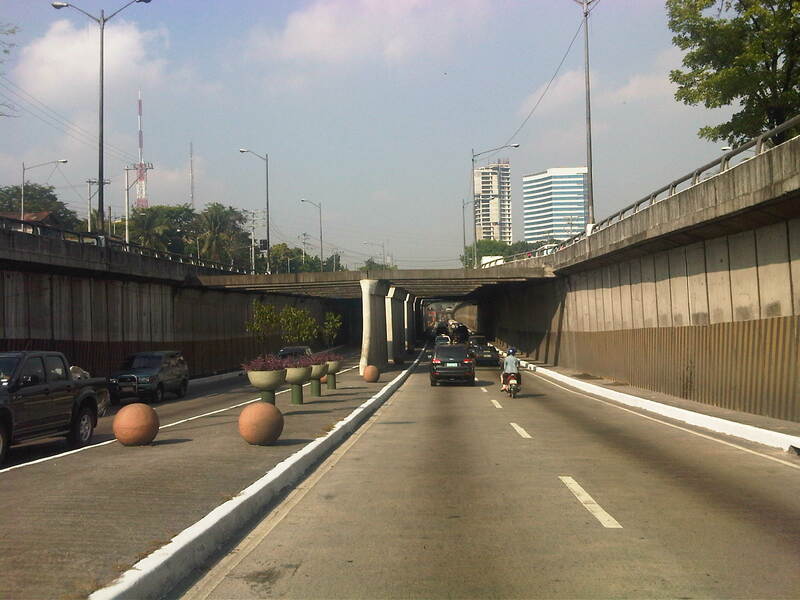 It has intersections with several major roads including EDSA (C-4) and Araneta Avenue (C-3). 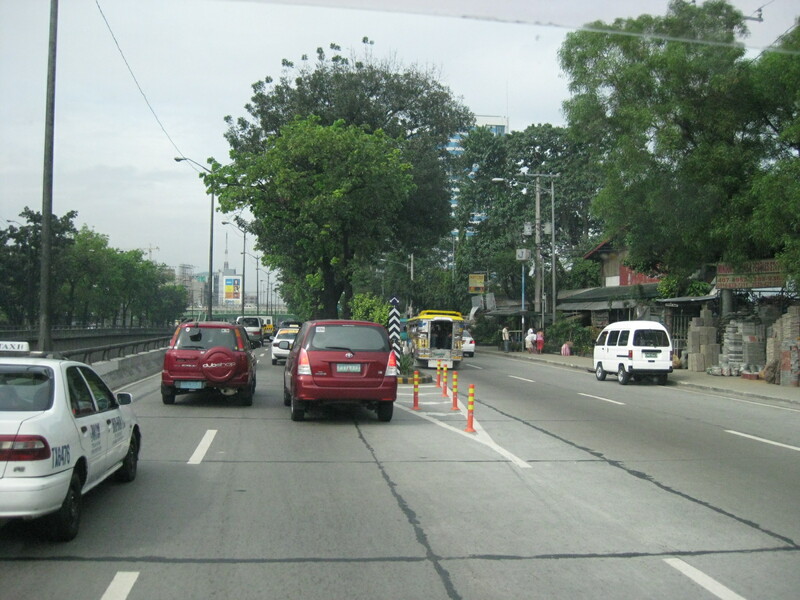 The following photos show the sections from Elliptical Road to EDSA. 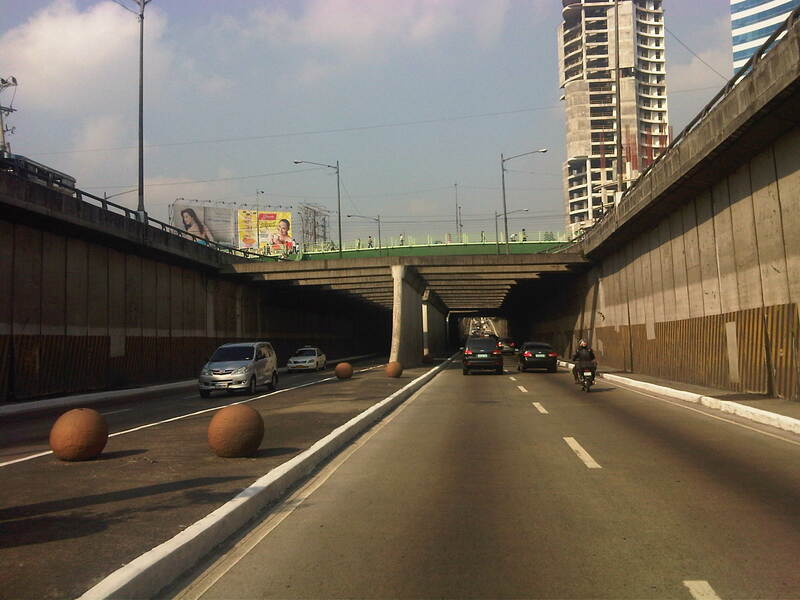 The following photos were taken along the Manila-bound side of the highway showing features along the sections including pedestrian footbridges and the underpass along Quezon Avenue that bypasses junctions with Agham Road and EDSA. 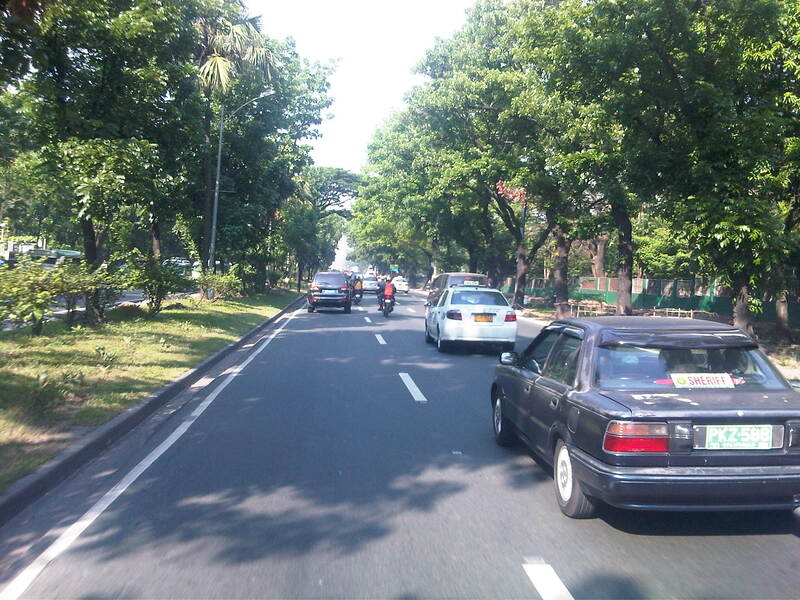 This section of Quezon Ave. has 4 lanes per direction and these are divided by a wide median island. Pavement is of excellent condition with clear markings to guide motorists. 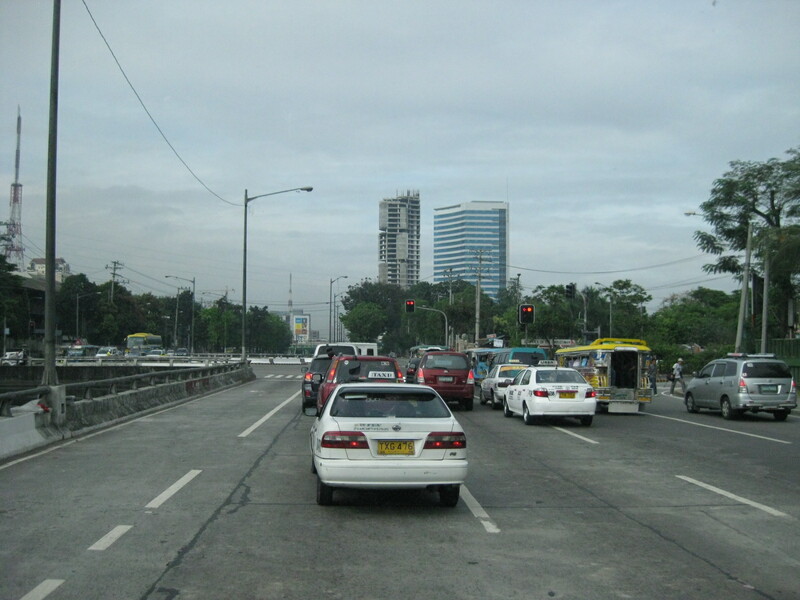 The section approaching Agham was widened by taking land from the Children’s Hospital (right). 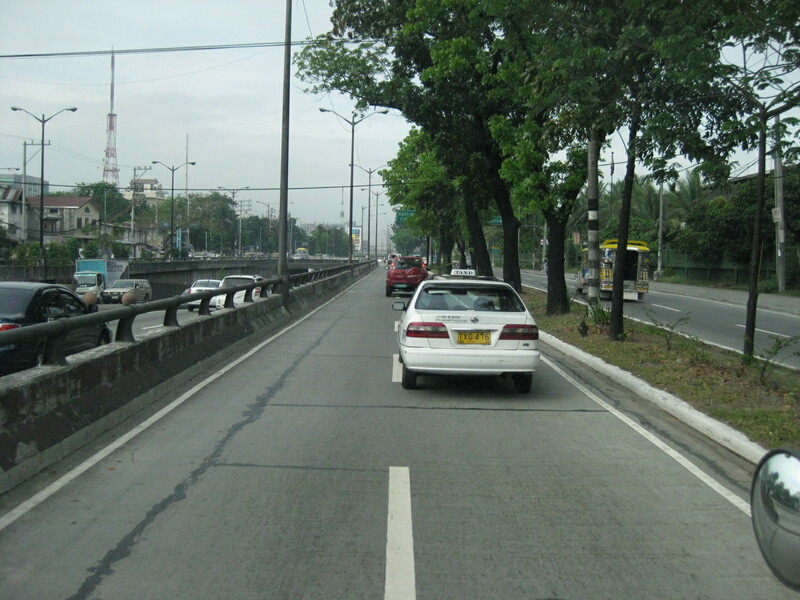 The trees on the island that defines the service road generally used by vehicles turning right to Agham is visible downstream in the photo. Chevron markings and the orange poles delineate the path to the underpass. 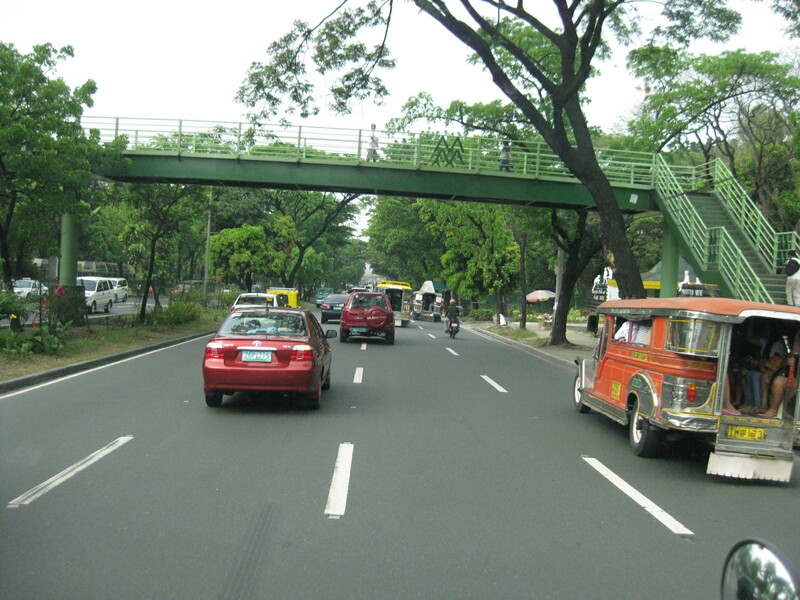 Past the junction with Agham Road, the highway is again divided by the island lined with trees forming two 2-lane channels. 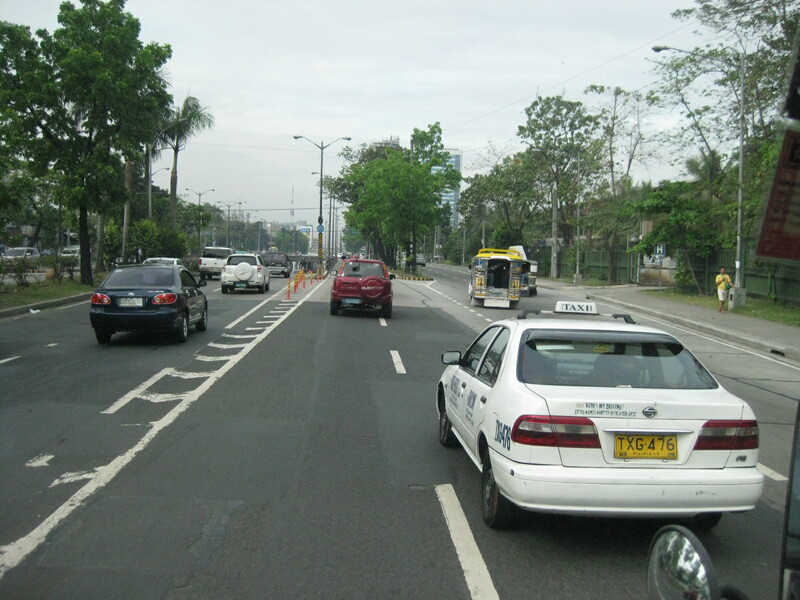 Public transport is supposed to take the right-most lanes. 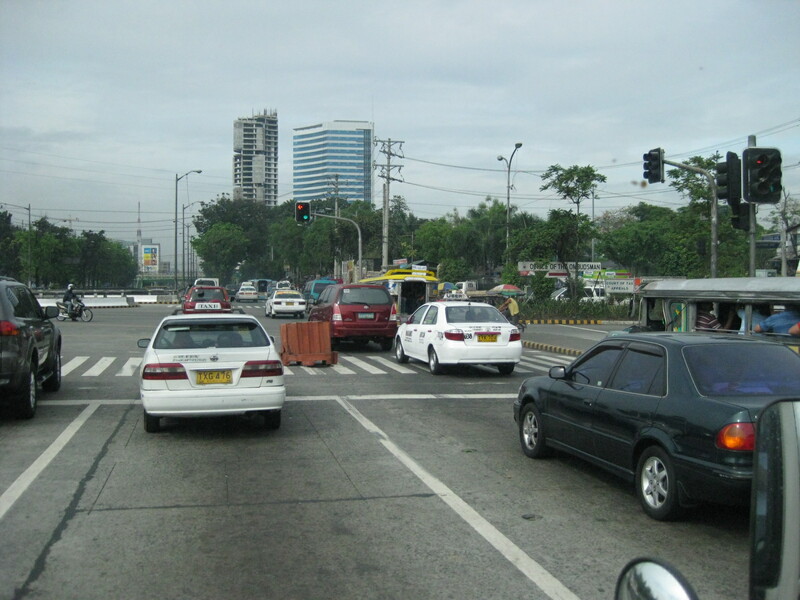 Approach to EDSA where all vehicles must turn right. 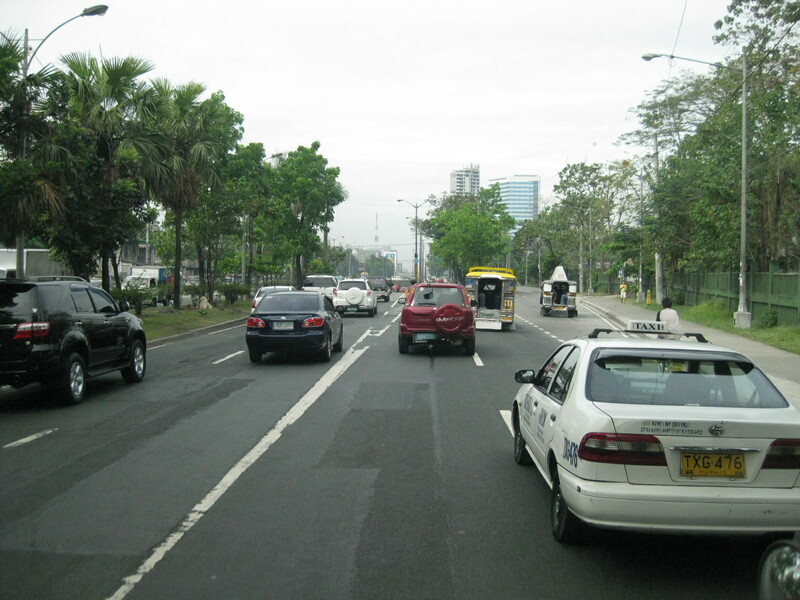 Vehicle proceeding along Quezon Ave. must take the U-turn slot under the EDSA overpass just a few meters after turning right at the junction. 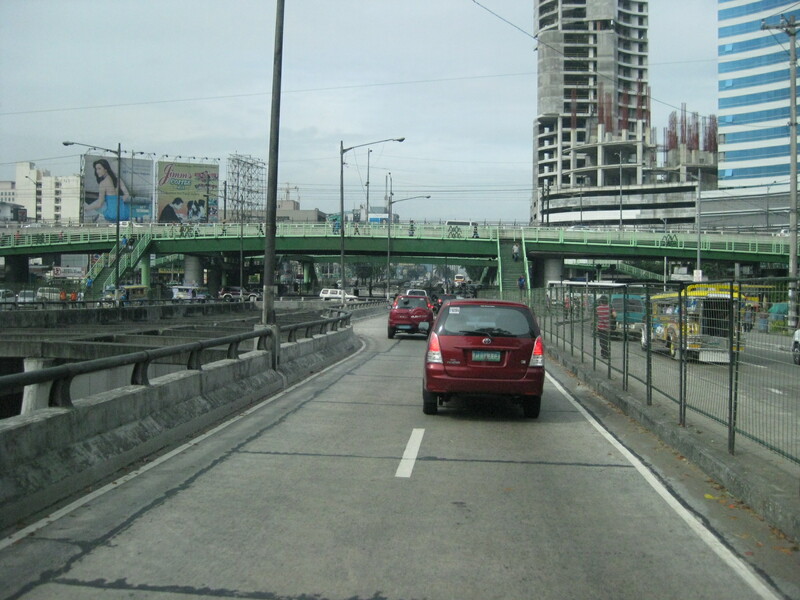 Obscuring the view of the vehicular overpass along EDSA is the pedestrian footbridge just ahead. Note the barriers to prevent jaywalking in the area. 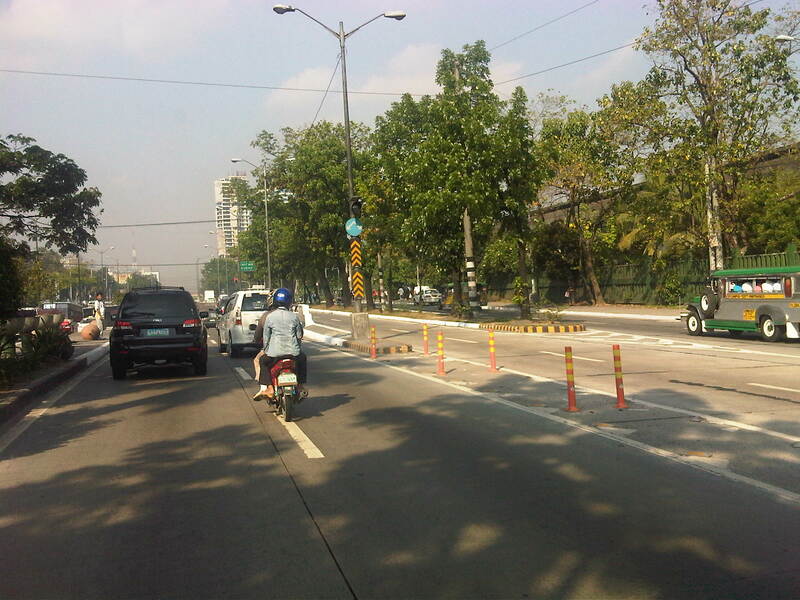 By d0ctrine in Highways and Streets on April 18, 2012 .